For women who are post-menopausal, the concern that their bone loss may lead to osteoporosis is a very real and important one. Every woman typically experiences some bone loss as she goes through the menopausal transition. This loss then slows and accelerates again in her seventies. Preventing excessive bone loss that leads to osteoporosis and a heightened risk of fractures is crucial for women's health. While there are drugs on the market to treat osteoporosis, these do come with side-effects. It is also difficult to regain bone once it has been lost. With one exception, most other approaches only help to reduce the rate of bone loss rather than building bone itself. Lifestyle measures are important too, which includes regular weight-bearing exercises and a diet high in calcium and vitamin D. Still, researchers are keen to find new ways to help women prevent osteoporosis. One new study suggests that they have done just that. Recent animal studies have shown promising results in the use of flaxseed oil to help reduce the risk of osteoporosis. Researchers believe that flaxseed oil could be particularly helpful for post-menopausal women as well as women who have diabetes. To test out their ideas, researchers looked at female rats, nearly half of which had their ovaries removed to trigger a post-menopausal state. One group of the rats also had diabetes. Two months later, researchers analysed urine and blood samples taken from the rats and they measured proteins important in building bone. When the rats had flaxseed oil added to their diet, these proteins were more plentiful. Researchers also looked at another substance. In the diabetic rats that received flaxseed oil, levels of a substance that is present in bone were lower. This particular substance is a marker for bone resorption that is linked to osteoporosis. The results seem to show that in a post-menopausal woman who has diabetes, the presence of diabetes appears to have a strong effect on the woman's bone health. It may mean that if you are post-menopausal and have diabetes, you are at a higher risk for osteoporosis. 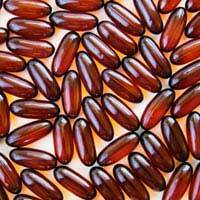 But both diabetic and non-diabetic women may benefit from the addition of flaxseed oil to the diet. It is thought that the fatty acids in flaxseed oil could be playing a part in the protection of the bone matrix formation. This process is what appears to be hindered by diabetes and menopause. Given that the tests were on animals, however, it is still too soon to start recommending that all post-menopausal women – particularly those who also have diabetes – should supplement with flaxseed oil. But the study is promising and further research will hopefully confirm that the result can be replicated in humans. For now, you can still make lifestyle changes and talk to your doctor about medications if you are trying to prevent or treat osteoporosis. As a woman going through the menopausal transition or having reached menopause, it is important that you take action to prevent or treat bone loss.